The Opposition Opinion – Burnley (H) – “You Geordie boys are in for a big surprise!” – NUFC blog – Newcastle United blog – NUFC Fixtures, News and Forum. 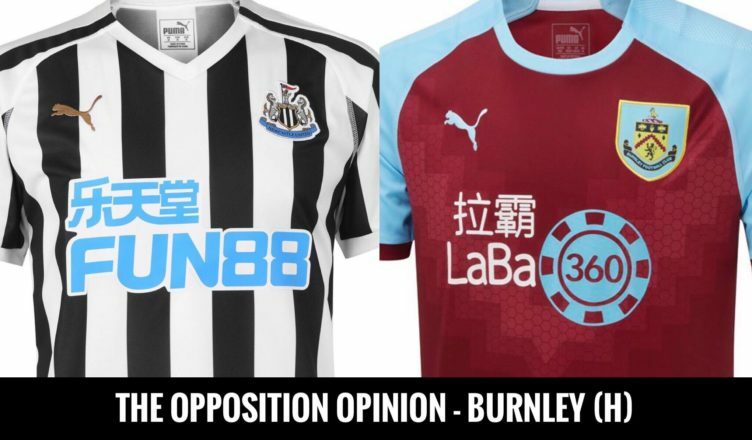 For this week’s Opposition Opinion piece, we’ve been speaking to Burnley fan Phil Parkin this week ahead of tonight’s game at St James’ Park. Q1) – With just one defeat in our last 10 and 5 wins and 3 draws in your last 8, just what is it that’s sparked your revival? “We lacked belief and identity earlier in the season – but we’ve finally regained that and are finally looking like that tough to beat, organised and gritty side that finished 7th last year. “Hart was shocking just about every week and Heaton was one of the main reasons we’ve done so well since we got ourselves back into the top flight, so having him back has been a huge lift for everyone. “He’s a top keeper who’s just given our centre-backs so much more confidence. “Strengths start with our defensive unit. Heaton is an outstanding shot stopper, Mee and Tarkowski are a very tough nut to crack and our midfield duo of Cork and Westwood are high energy and hard to break down. Ahead of that you’ve got Barnes’ physicality that most CB’s struggle with in this league, and Wood is also a danger now he’s found his finishing boots. “Weaknesses? I’m not a big fan of Bardsley. Solid enough, but most wingers with pace can tear him a new one…and I think Almiron could do exactly that! “Longstaff seems to be catching the eye and I can see why after watching your win over Man City. Perez is a bit hit and miss but he’s the sort who could be the difference with a piece of magic. “Weaknesses….I’d like to see McNeil get at Yedlin. He wouldn’t be a pro footballer if he wasn’t quick..! “Also think Barnes could bully you centre-backs. Lejeune doesn’t look the strongest of centre-backs and I know Lascelles struggled when Barnes backed into him in the game up at your place last season. “You Geordie boys are in for a big surprise! “Huddersfield may have seemed a stroll and a perfect day for your big new signing, but you won’t be playing a bottom of the table side with 10 men for most of the game here…and I think you’ll find it tough. “We’ve got a point at Man Utd, hammered Brighton and frustrated high flying Watford in our last few away games and we’ll be full of confidence after that win over Spurs. Q5) – Do you feel you’re all but safe now? Which 3 sides do you see going down? ‘I think we’ll both be fine. We’re both strong at the back and team spirit is good, with both of our managers knowing how to get results in these types of situations too. “Southampton have lost all momentum, Cardiff’s result against Watford must be worrying and Brighton are in big trouble now too, but I’m backing Cardiff to just run out of gas and join Fulham and Huddersfield. Q6) – If you could sign one player from this NUFC side, who would you like to see Sean Dyche go for? “Easy question for me…Salomon Rondon! A big thanks to Phil for taking some time this week to speak to us. He’s obviously resigned to their fate and fearing another defeat but gave us a brilliant insight into the side we’ll be coming up against and also offered some thoughts on Newcastle that I think most Geordies would agree with! Next up will be the thoughts of a West Ham fan ahead of our trip to London this weekend.